Having been born to a revolutionary father Aung San, who laid the foundation of the modern Burmese army, Aung San Suu Kyi had patriotism running through her veins. She spent majority of her childhood with her mother Khin Kyi, who was appointed a Burmese ambassador to India and Nepal in 1960. Suu Kyi’s stay with her mother helped in shaping her political and religious views, and as a result she grew up to become a fireball – full of enthusiasm and passion, and a woman of substance. However, it was her motherland where Suu Kyi essayed her success story that got penned down in history in golden letters, and ever since her return to Burma in 1988 Suu Kyi has been at the centre stage of her country’s struggle for democracy and human rights. She has launched a vociferous campaign against the atrocities of the military junta, for which she had been placed under house arrest for almost two decades, hence becoming one of the most prominent political prisoners in the world. 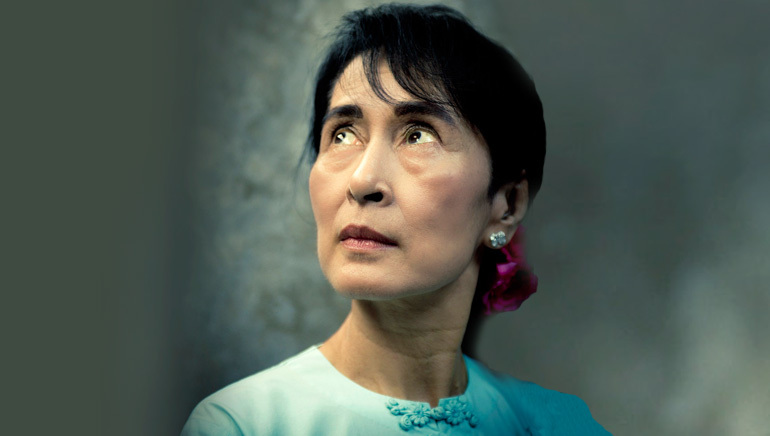 Her struggle for democracy in Myanmar has won her many admirers across the world. She is an incredible tale of blood, sweat and tears!